I’ve been on a run of great books lately. So I thought I’d share (and will likely post individual reviews afterward). It really started with Nick Cole. 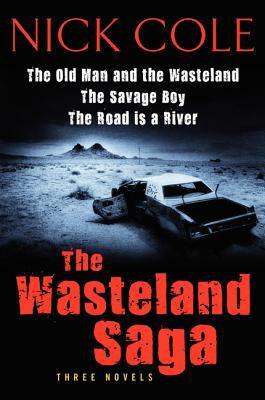 I read the first book of his The Wasteland Saga, The Old Man and the Wasteland. 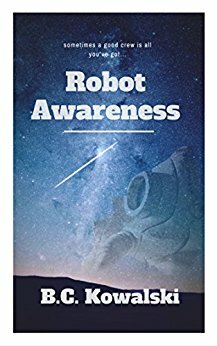 The book focuses on the Old Man (his series tends to use generic names for its protagonist) and his journey through post-apocalyptic America. In the wasteland world, most of America’s major cities were destroyed in a war that we only learn bits and pieces about. In that way, we see the war through someone who doesn’t remember what pre-war America was like. In his second book, we get that perspective in our main character, boy. Boy, who latched on to Sergeant Presley, a mentor and later disembodied voice he’s not entirely sure he’s imagining, navigates this new wasteland, attempting to see the cities the good sergeant told him tales of. Both are stories of survival, and they’re fascinating ones at that. There’s an air of mystery brought about through the way Cole only feeds us bits and pieces about the war and its consequences. We know the Chinese were involved, and we know that the U.S. lost, but it’s not so clear that the Chinese won either. Cole’s style is reminiscent of Hemingway; sentences are simple, yet he evokes the imagery needed to convey each scene. Also like Hemingway, Cole manages to instill a flow to the story that leaves readers wanting more. That’s not always easy to achieve with a short, declarative style, but Cole pulls it off. I admit I didn’t continue on to the third book; though that doesn’t mean I won’t. One thing Cole doesn’t have a problem doing is putting his characters in extremely bad scenarios. I’d just watched two anime series, Cross Ange and Akame ga Kill, both of which are also difficult to watch at times. I just needed a break.